While a guest in this house, Mrs. Eddy completed her first teaching text on Christian Science, the fruit of several years’ labor. She also continued her early teaching and healing practice. In late 1868, after staying in a series of boarding houses and friends’ homes, Mrs. Eddy arrived in this country home south of Boston as a guest of the Wentworth family. Her stay was a year-and-a-half respite from all the packing and unpacking. 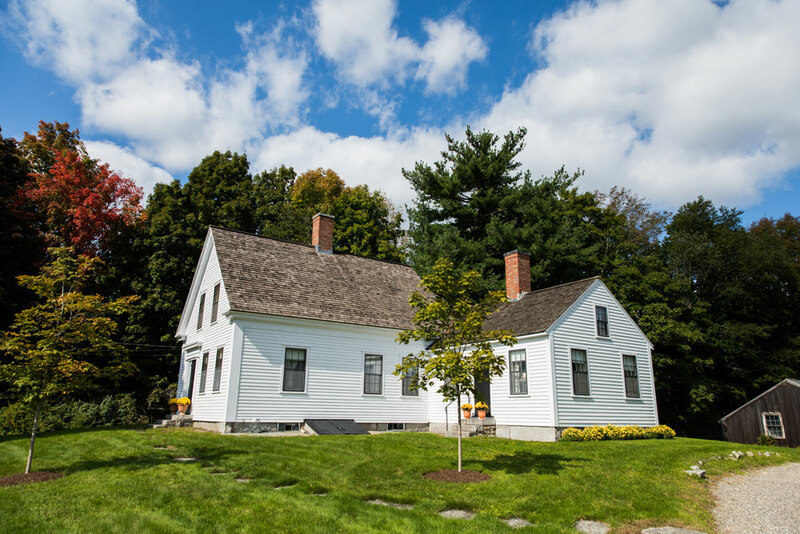 Alanson Wentworth’s wife, Sally, invited Mrs. Eddy to live here in exchange for Mrs. Eddy’s teaching her the art of healing through Christian prayer — after which Sally eagerly took up the healing work on her own. It provided her with a purpose and an income for the rest of her life. Here in Stoughton, Mrs. Eddy’s treatments through prayer healed Alanson Wentworth of sciatica — healed his wife of a chronic throat ailment — healed one of their daughters of partial deafness — healed neighbors of enteritis, pulmonary disease, and addiction to medicinal drugs. In the evenings she happily joined in the Wentworth family life — dinner-table conversations, singing around the pianoforte, reading and playing games with the children. Most of her time here was spent writing pages of notes on the spiritual meaning of the Scriptures. And it was here that she completed her first work on Christian Science, a teaching manuscript titled The Science of Man. The Wentworth house was built about 1840, the small wing at the rear, first. The larger Greek-revival wing facing the road was added not many years later. Like some of his neighbors, Alanson Wentworth was a farmer and shoemaker. In summer he farmed. In winter he made heels, soles, uppers, and other parts for the shoe factories in nearby cities like Brockton and Taunton. His shoemaking shop still stands beside the driveway — one of the few local examples of a 12 x 12 cobbler’s shed surviving from that cottage-industry era. Mrs. Longyear located this house in 1920, but it was not offered for sale then. In 1961 Longyear Museum acquired it as a gift. It no longer looked as it did when it was the Wentworth family’s home in the mid-1800s. 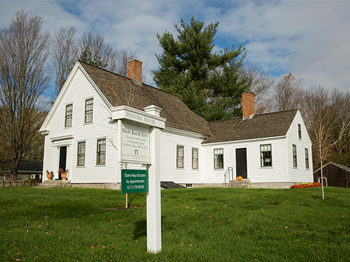 The Museum has restored it to represent the 1860s when Mrs. Eddy lived here. Call 800.277.8943, ext. 100, or message us. $7.00 suggested donation. Longyear members and children under 12 are free.